Entertainment industry power broker and multimedia entrepreneur Scooter Braun, best known for managing the careers of some of today’s biggest pop culture icons like Justin Bieber, Kanye West, Usher, Karlie Kloss, Ariana Grande and Tori Kelly, will receive the Make-A-Wish Greater Los Angeles Humanitarian Award at the 4th Annual Wishing Well Winter Gala on December 7, 2016 at the Hollywood Palladium, it was announced by Neal Aton, President and CEO of Make-A-Wish Greater Los Angeles. Grammy-nominated singer-songwriter Tori Kelly will honor Braun with a special performance and present him with the award. Braun will join Academy Award-nominated actor Robert Downey Jr as an honoree that evening. 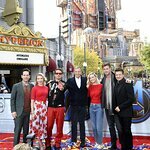 As previously announced, Downey Jr. will receive the Shining Star Award for the many wishes he has granted to children around the world and his long-time dedication and generosity to Make-A-Wish. The Humanitarian Award recognizes outstanding individuals whose philanthropic efforts have made a demonstrable impact on the lives of children and their families. Braun, his clients, and his company, SB Projects, have granted hundreds of wishes for Make-A-Wish. Braun introduced superstar Justin Bieber to Make-A-Wish seven years ago. Since then, Bieber has fulfilled nearly 300 wishes. Like Bieber, many of Braun’s clients are actively involved in Make-A-Wish, including Ariana Grande, Tori Kelly and Cody Simpson. 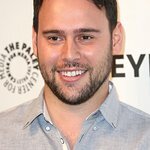 Scooter Braun, named TIME Magazine’s “100 Most Influential People in the World,” is one of the entertainment industry’s biggest power brokers and has broken more new music acts than any other music executive in the last decade. He is the founder of SB Projects, a company at the intersection of music, film, television, technology, brands, culture and social good. Today, Braun has a roster of notables that include Justin Bieber, Kayne West, Ariana Grande, Usher, Karlie Kloss, Carly Rae Jepsen, Cody Simpson, Tori Kelly, Psy, Black Eyed Peas, Steve Angello, CL and Martin Garrix, among others. SB Projects also houses a film and television production division that has released titles such as Never Say Never (2011), The Giver (2014), and the CBS drama series, Scorpion. SB Projects continues to impact and intersect new verticals under its tech incubator, Silent Labs, which holds investments in Uber, Spotify, Songza, Fahlo, and Pinterest, among others. Singer-songwriter Tori Kelly first rose to attention when her YouTube cover of Frank Ocean’s “Thinkin’ Bout You,” went viral, racking up over 24 million views. Kelly made her Billboard chart debut in 2012 with her self-released album Handmade Songs By Tori Kelly. After seeing her videos on YouTube, Scooter Braun became her manager and introduced her to Capitol Records. Kelly’s lead single, “Nobody Love” off her debut album Unbreakable Smile, debuted at number two on the Billboard 200. Kelly was nominated for Best New Artist at the 58th GRAMMY Awards. She will star as a shy teenage elephant named Meena in the 2016 movie-musical SING. The Make-A-Wish awards are presented at the annual Wishing Well Winter Gala, where entertainment executives, celebrities, top business executives, community and civic leaders, medical professionals and philanthropists celebrate the children and families whose lives have been changed forever by the power of a wish. Since its start in 2013, these meaningful events have collectively raised almost $3 million for wish kids living in Greater Los Angeles. Past honorees include sports stars Kobe Bryant, Landon Donovan and Oscar de la Hoya; philanthropists Sam Nazarian and Michael Rosenfeld; and medical pioneers Children’s Hospital Los Angeles, OneLegacy and Mattel Children’s Hospital UCLA.